Maxis is now offering the gold-coloured version of the Huawei Mate 7 from as low as RM599 when you sign up for a contract from the telco. Retailing at RM1,999, the variant of the Mate 7 offered by Maxis is the premium version that comes with 3GB of RAM and 32GB of internal storage. 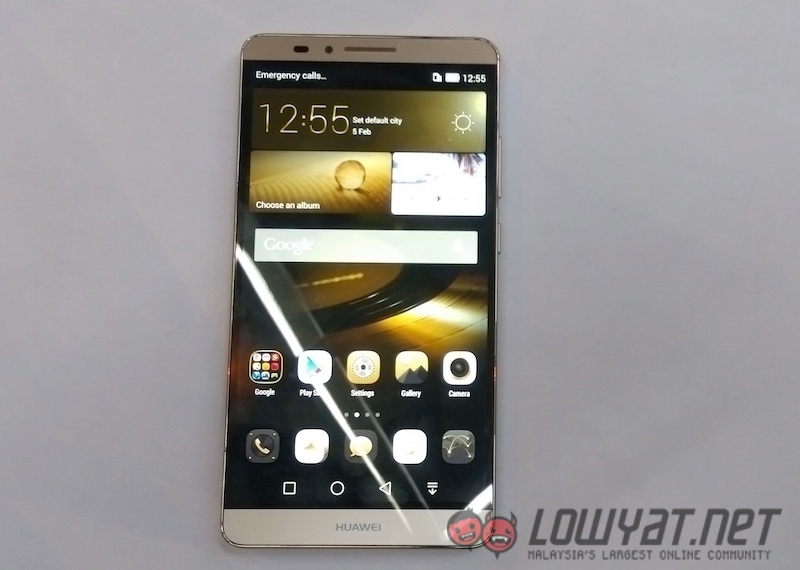 Announced in IFA last year, the Huawei Mate 7 arrived in Malaysia about 3 months ago. 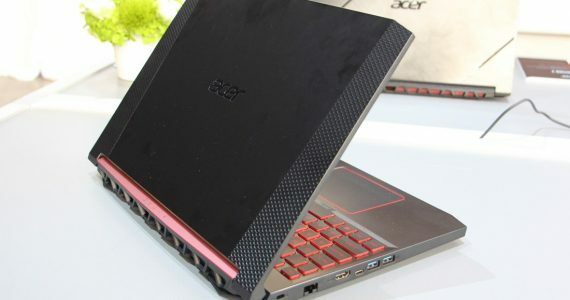 It features a large 6” Full HD display, and packs top-of-the-line hardware such as a 13MP rear camera (Sony 4th generation BSI sensor with f/2.0 aperture), 5MP front camera, a large battery of 4100mAh, a fingerprint scanner, and is powered by the company’s very own octa-core chipset – the Kirin 925 processor that has four large A16 1.8GHz and four small A7 1.3GHz cores. The Mate 7 is available in two variants – the standard one that retails at RM1,799 has 2GB of RAM accompanied with 16GB of internal storage, while the premium version offered by Maxis has 3GB of RAM and 32GB of internal storage. Other specs include LTE, and runs on Android 4.4 out of the box with Huawei’s latest EMUI 3.0. 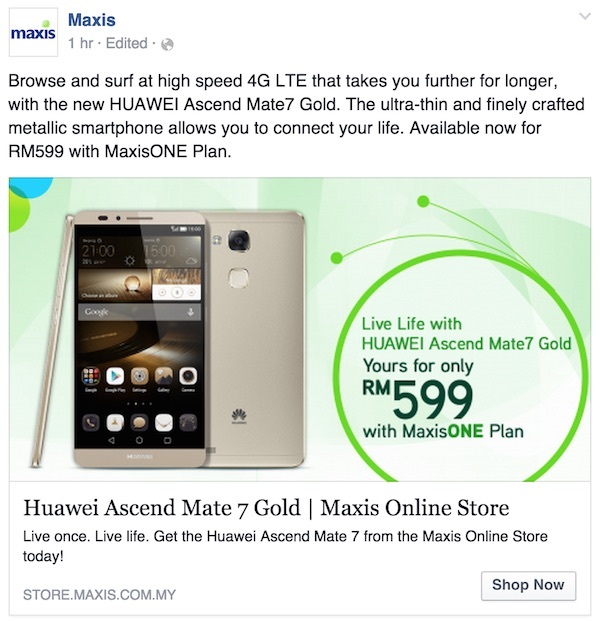 Check out our previous post to find out more about the Huawei Mate 7, or visit Maxis to purchase the device immediately from the telco’s online store.